AMX is part of the HARMAN Professional Division, and the leading brand for the business, education, and government markets for the company. 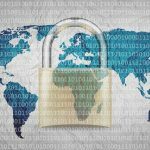 As such, AMX is dedicated to integrating AV solutions for an IT World. AMX solves the complexity of managing technology with reliable, consistent and scalable systems comprising control and automation, system-wide switching and AV signal distribution, digital signage and technology management. AMX systems are deployed worldwide in conference rooms, homes, classrooms, network operation/command centers, hotels, entertainment venues and broadcast facilities, among others. 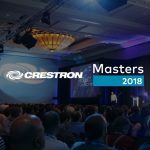 2018 Crestron Masters event attracted 900 people—and organizers want to see it grow even more. Attendees say more companies should do something similar. Aston Sentul Lake Resort and Conference Center in Indonesia deploys an end-to-end Harman Control System solution that delivers a refined guest experience. While undergoing restructuring and consolidation, Harman Professional Solutions will lay off 650 employees, eliminating that many positions in the U.S. and Europe over the next year. Partnership between Spinitar and furniture dealers Corporate Business Interiors and Allsteel Furniture helps clients see how technology enhances spaces. Sophisticated but simple-to-use displays, collaboration, microphones and conferencing technologies fuel increasingly more interactive huddle rooms for corporate office meetings. Electrosonic works with Hormel to create interactive exhibits at 14,000-square-foot Minnesota museum dedicated to the world’s favorite canned pork product.